Fast, hassle-free bulk meat delivery. Endless meats and brands to choose from. 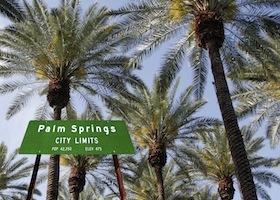 Proudly serving the Palm Springs area for over 20 years. Quality and taste you can depend on. Welcome to Crown Meat & Provisions Inc.! 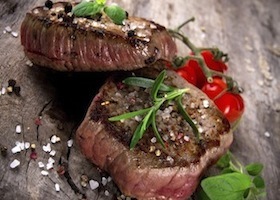 We have been served Palm Springs and the Coachella Valley with wholesale meat for over 20 years. As a premier meat supplier, we have earned a reputation for quality meat packaging and delivery, now reaching food providers as far as Los Angeles and San Diego. We carry the same quality brands year-round to help you provide consistent quality for your customers. Crown Meat is proud to provide a full range of carefully selected meats. From prime beef, to seafood, to wild game, we will help you select a cut, brand, and delivery schedule that matches your needs. We also provide meat cutting, fresh portion control, organic, and free range options. No matter if you’re familiar with current meat brands or if you’re new to the game, our team is educated on the best brands in the business. 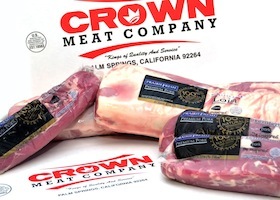 Crown Meat has carefully selected a unique variety of brands for each type of meat we carry. We will educate you on the best brands for your needs. 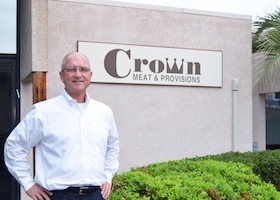 Crown Meat has earned a reputation for superior customer service while serving the Coachella Valley and beyond for over 20 years. As a company, we are also involved in charitable functions and community events. Learn more about the Crown Meat team and what we can do for your business! All of the meat that is delivered to and shipped out of Crown Meat is handled by staff that is trained in Hazard Analysis & Critical Control Points. Our facilities are USDA inspected to ensure the highest level of sanitary measures. This is a main priority to our entire staff throughout daily functions as a business. 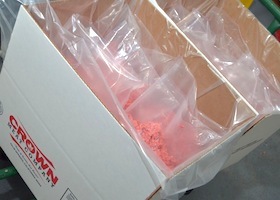 Crown Meat offers bulk meat delivery at least 5 days per week year-round. We make regular deliveries in Los Angeles and Orange County from Monday through Friday. We also deliver to San Diego, Temecula, and Lake Arrowhead a few days per week. Learn more about our delivery options and schedule yours today. 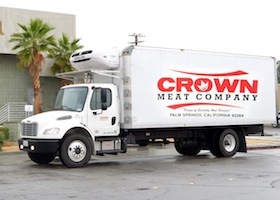 Crown Meat & Provisions Inc. has provided bulk meat delivery to restaurants, caterers and event venues all over Southern California. Contact our meat packing and distributing experts today to decide the meat and delivery options that match the needs of your customer base. 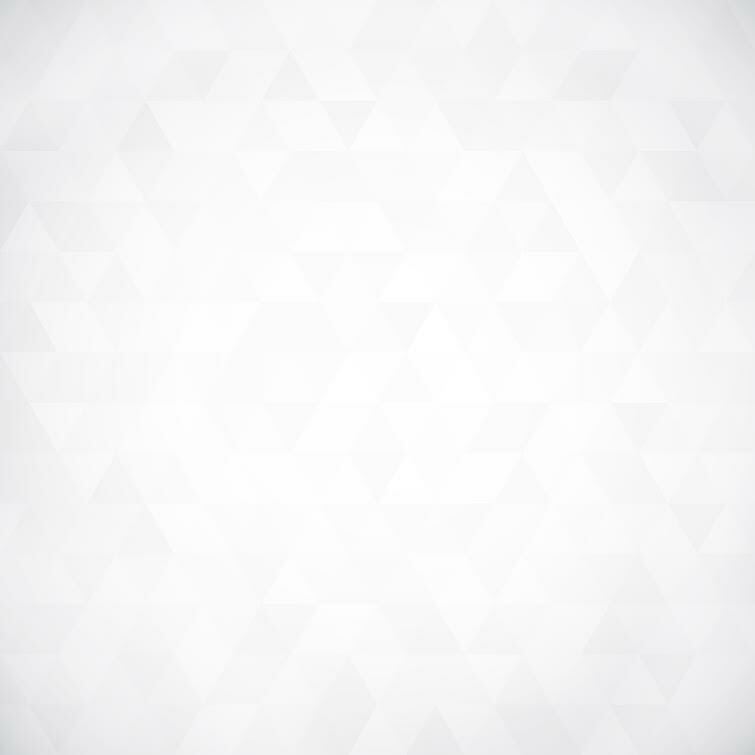 Our representatives are excited to share our product with you.